Last Monday I finished up my second quilt with my circle of the Do Good Stitches charity quilting bee. 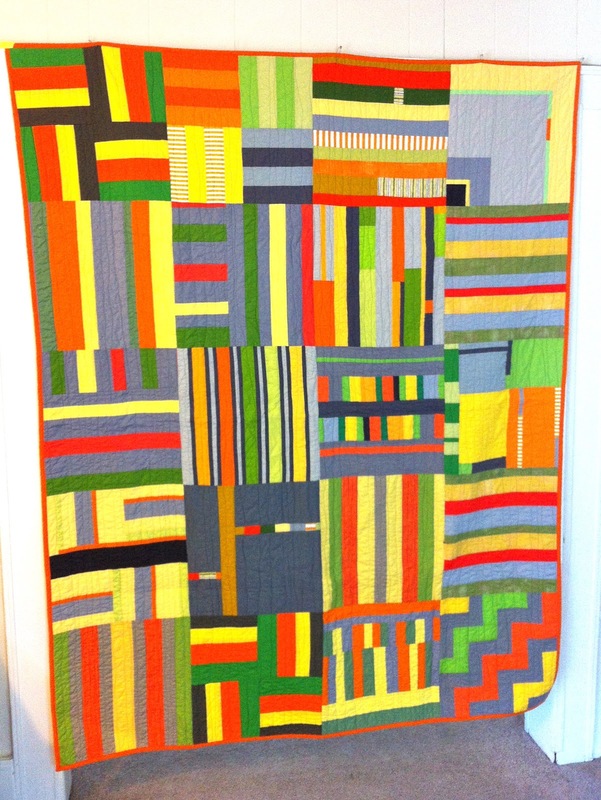 Back in May, I asked everyone in the group to send me two 16.5" blocks that had orange, yellow, green, and gray fabrics in mostly solids, arranged into any stripey design they could come up with. The variety of blocks they sent me is just amazing! These are really my favorite kind of bee quilts, the ones that look like they were made by many different people with different styles, yet somehow it all works together. I'll admit, when I first started getting these blocks in the mail, I loved them, but wasn't sure how they would look together. I thought I should have been more specific about using brighter citrusy colors and maybe given more direction with the design. But after playing with the arrangement and getting the top together, it really looked amazing! I love how the different depths of the colors draw your eye to different parts of the quilt. I love the mix of straightforward strip blocks and crazier improv blocks. I think it will be great for a little boys bed. The back is a Robert Kaufman basic I got on super clearance, and the binding is pre-made Moda Bella bias binding, which I love using. Both are from Sewn Studio. For the quilting I did wavy vertical lines across the quilt in varying widths. I love how this style looks and feels, especially against all the straight angles on the quilt top. I used gray Aurifil thread. I'm convinced I will never quilt with another type of thread now that I've tried Aurifil. Thread snob here. It's almost all set to go to our local chapter of Project Linus, just need to stitch the bee label on the back first. I'm excited to dream up my next design for November's quilt. This and my first were both very boyish, but I'm thinking about trying something a bit "prettier", if you know what I mean... at the same time though, I know Project Linus always needs boy blankets, so I might just have to get creative with another boy design. We'll see, you know I can never resist making for boys. Thanks again to the amazing girls in my group who made these blocks! oh, this is just lovely! 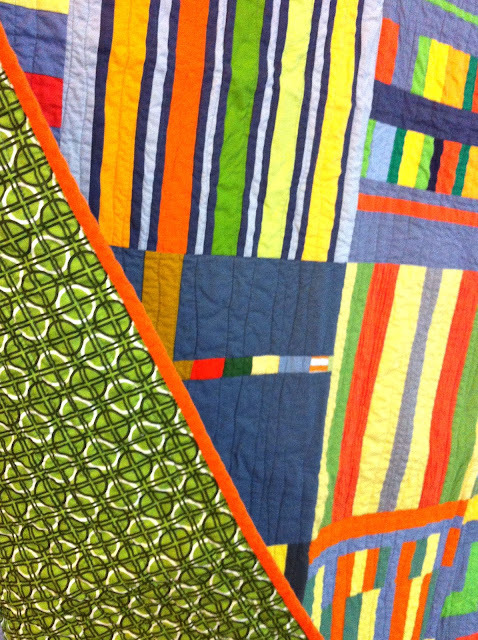 and the quilting is just perfect. i love these more open-ended bee quilts. it does seem like magic the way they seem to come together, no? wow, this is amazing. i love your vision for the colors and stripe design. it came together perfectly! L does go together. It reminds me of DS's work, yet this is your own spin. Beautiful. wow, that's a stunner. the colors are divine and i love the wavy quilting. you brought it all together beautifully! That is beautiful! do Good is so fun! I totally agree. It all works, so well! Love your quilting, and I love the variety of blocks. Well done! It's beautiful! 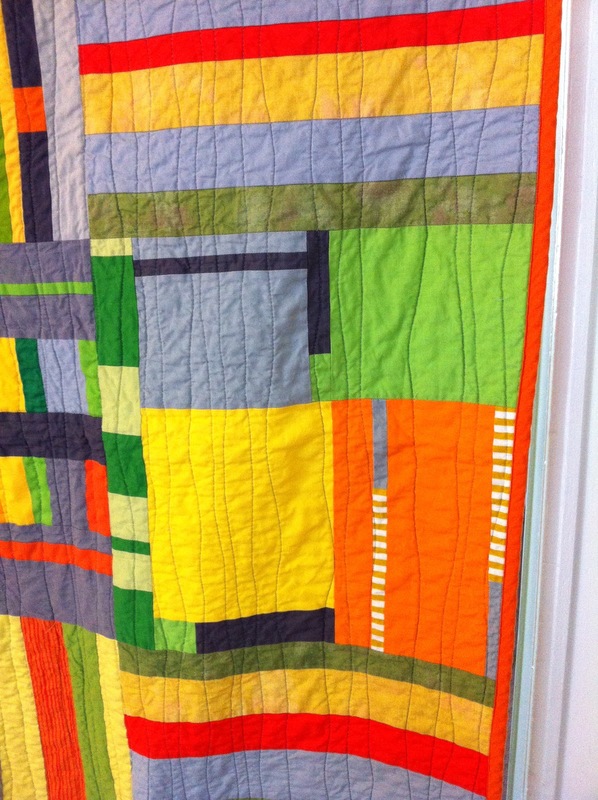 I love the wavy quilting. It's SO awesome Jessica!! 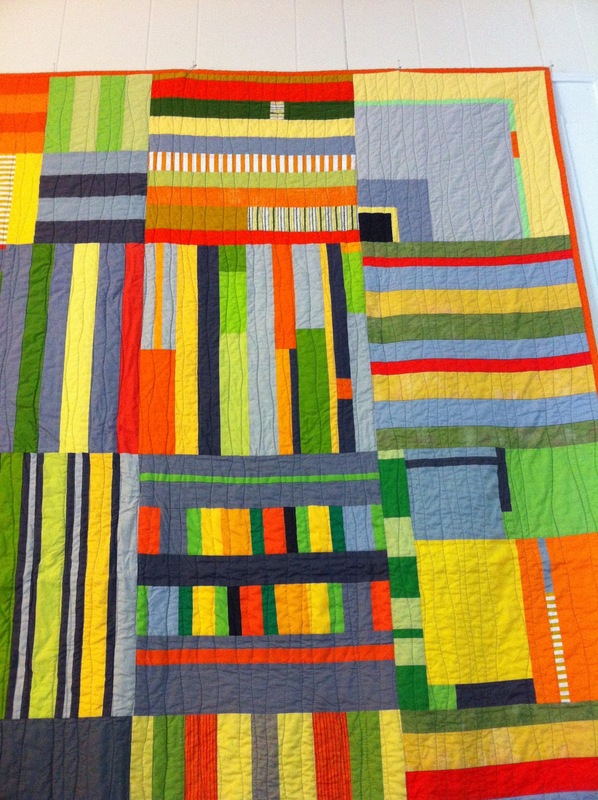 The colors are so great, and the stripes with the wavy quilting!! I agree, Aurifil is the best too!! This came together perfectly. I love how none of the blocks "match" yet It looks so amazing. Hooray! This came out sooooo great! I love that you havev done boy quilts in the past. They don't get near as many boy quilts, especially ones appropriate for boys middle school aged and older! If you had tried to make this straight out with perfect planning it would have not been this Great! You did a fantastic job with the arrangement.